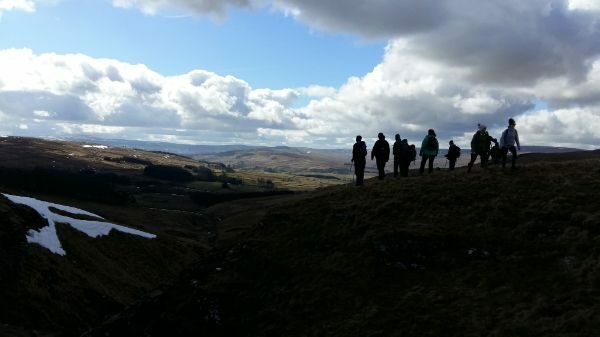 For many walkers the introduction to Alston Moor is the walk up from Dufton on the Pennine Way, over Cross Fell and down in to the picturesque village of Garrigill at the head of the South Tyne valley. This encompasses what Alston Moor has to offer – high Pennine hills with large tracts of open moorland interspersed by quiet picturesque valleys providing a wide variety of walking opportunities ranging from a leisurely stroll around Alston to an energetic climb up to some of the high points of the Pennines. 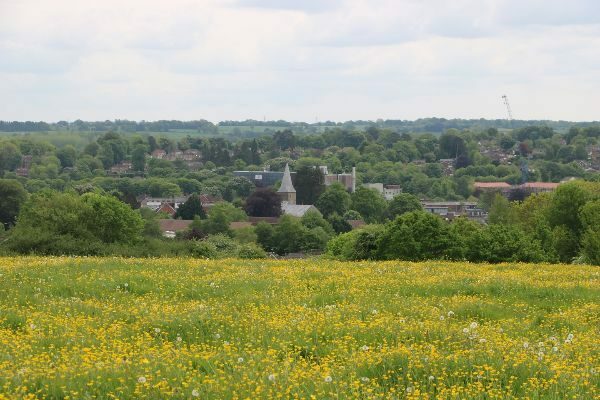 Alton is a market town in beautiful countryside at the edge of the South Downs National Park, with access to walks such as the Hangers Way, Alton Six Hills Walk and St Swithun's Way. Alton has good transport links, and a welcoming variety of pubs, cafés and places to stay. Aylsham is an historic market town situated halfway between the medieval city of Norwich and the resort town of Cromer, on the North Norfolk coast. 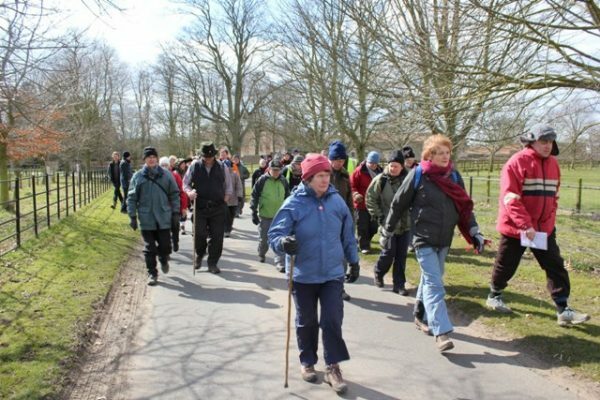 Located on the Marriott's Way and the Weavers Way the town has easy access to the Norfolk Trails and the surrounding countryside offers an opportunity for pleasant walking experiences. Baildon is a town on the edge of Bradford between the River Aire and Rombalds Moor. There are about 16,000 residents. There is a thriving centre with a number of successful small businesses. On the edge of open country, Baildon Moor is one of the first areas of open country heading out of Bradford. For many years the Moor and Shipley Glen have been destinations for walkers. A Dales Way connecting path, The Dales Highway and Welcome way come through Baildon. Bingley is a small market town in the Aire Valley, with a population of approximately 20,000. 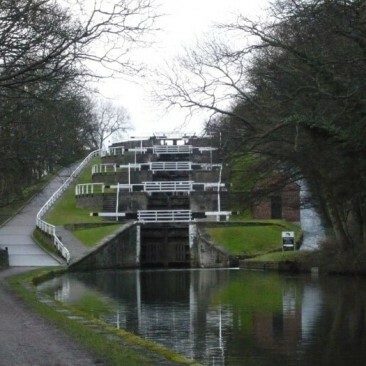 It is home to the famous 3 and 5 rise locks on the Leeds Liverpool Canal. 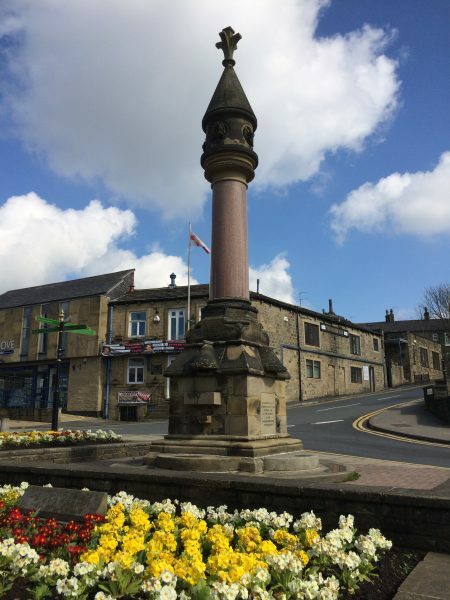 Bingley has excellent rail links and is a good centre for walking with plentiful cafes and pubs. Bishop's Castle is a small market town on the Wales/England border surrounded by stunningly beautiful hill country, most of it in the Shropshire Hills Area of Outstanding Natural Beauty. It has two successful breweries, 6 pubs and lots of small, independent shops. The Town Hall is a 18th century building over looking the town which hosts the tourist information office for the area. There is a good music scene with lots of local bands and regular gigs in pubs. There is also many festivals and events in the town from the Real Ale Trial to Midsummer Rejoicing. There are a good selection of local walking leaflets and nearly all our visitors enjoy the hill walking here. 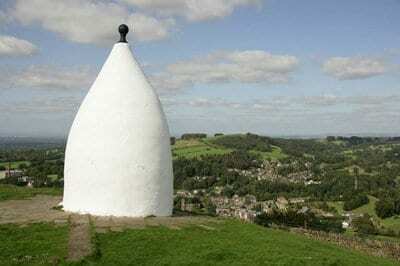 Nicknamed the ‘Happy Valley’, Bollington sits on the South-Western edge of the Peak District with its iconic landmark, White Nancy rising above the Town. A landscape of quaint stone cottages, majestic mills and mill chimneys provides a backdrop for some wonderful walks, brimful of history and heritage. 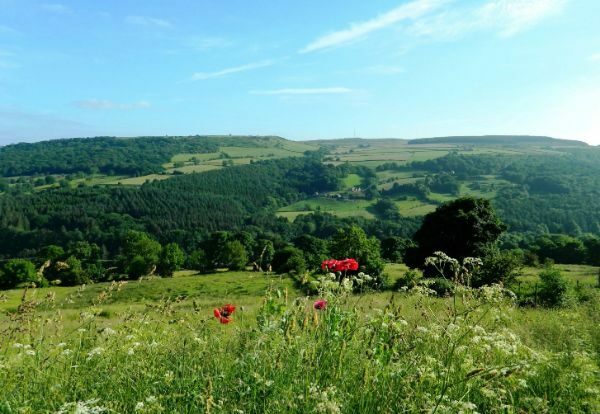 Bradfield village’s excellent location on the northwest fringes of the Peak District, with close proximity to long-distance trails and a superb variety of shorter walks around local villages, and spectacular reservoirs means that it has something special to offer walkers, whether visitors or local residents. 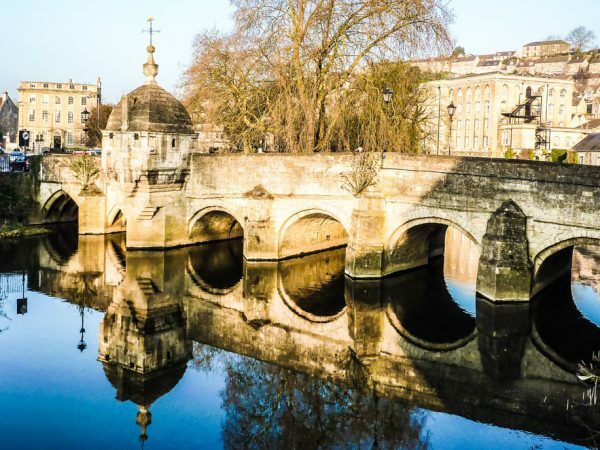 Nestling in the beautiful Bristol Avon Valley on the edge of the Cotswolds AONB, Bradford on Avon is the perfect centre for a whole variety of walking. The Macmillan Way and Kennet and Avon Canal run through the town and the Bradford on Avon Walking Wheel provides countless opportunities to explore the area. You might also be tempted to join us for our Annual Walking Festival that takes place over the first weekend in September. Brampton is a lively little Market Town ideally situated for walking in the North Pennines AONB, Hadrian's Wall Country, The Lake District and the Scottish Borders. Burley in Wharfedale is a community of around 6,500 people and lies on the River Wharfe mid-way between Ilkley and Otley on the edge of the Yorkshire Dales. With its associated hamlets of Burley Woodhead and Stead it covers 4.9 square miles about half of which is moorland at a height of 300 metres and above. 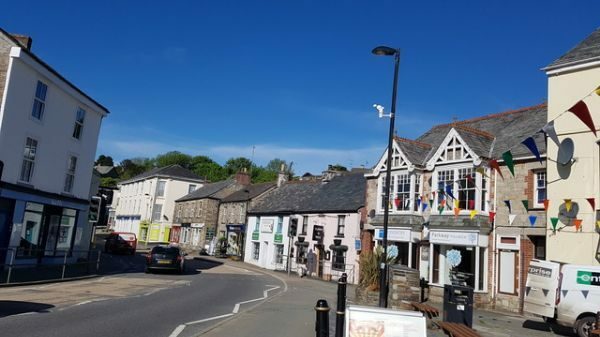 A former market town ideally situated for walkers between the North Cornish coast and Bodmin Moor, Camelford is full of history and interesting architecture. It is a lively community-minded town with a population of over 3,000 people - but never call it a village! Easily reached on the A39 between Bude and Wadebridge. This is a proudly Cornish town with a lively calendar of events throughout the year, from our annual Carnival to a Fun Week. Charlbury is a typical Cotswold Market Town on the Eastern edge of the Cotswolds AONB. There are good walking routes in all directions and refreshment and accommodation is available. We are on the Cotswold mainline to London and also bus service from Oxford. 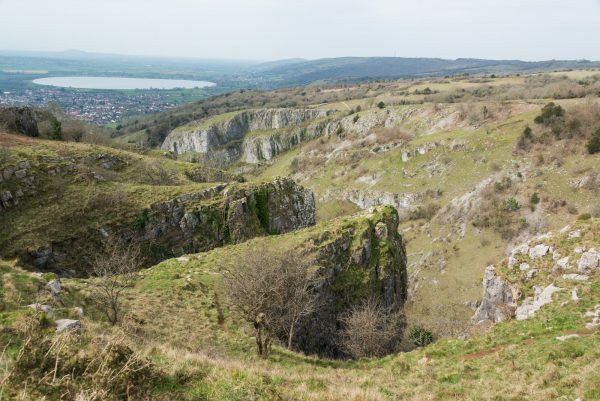 The village of Cheddar, on the edge of the Mendip Hills Area of Outstanding Natural Beauty, is famous around the world. It has the country’s largest gorge, the famous caves, and is the birthplace of Cheddar cheese. It is also where the oldest complete human skeleton was discovered. Chepstow is a true border town located at the mouth of the River Wye. At its heart is Chepstow Castle, Britain's oldest surviving stone fortification, and at different times the town has been Wales's biggest port, the birthplace of tourism, a national shipyard, the location of the Severn Bridge and, more recently, the southern terminus of the Wales Coast Path. 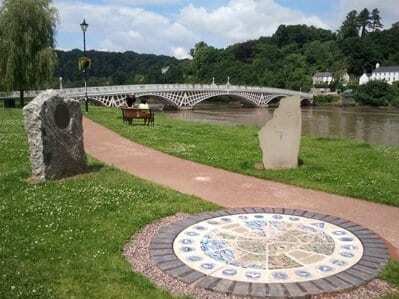 No less than 8 long-distance trails meet here, and Chepstow is an ideal base for walking the Wye Valley AONB, the Forest of Dean, the Vale of Usk and the Gwent Levels. 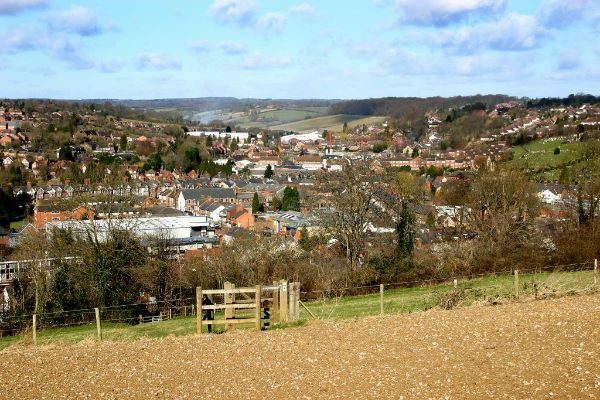 Chesham is a thriving market town that has many beautiful walks, all at the end of the Metropolitan line! 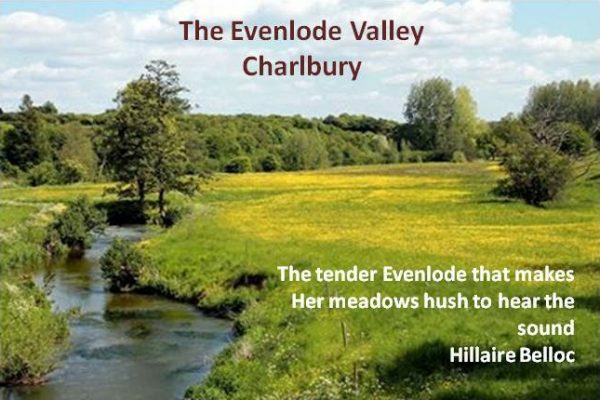 It nestles amongst beautiful valleys of the Chilterns AONB. Our town centre has plenty of cafes and restaurants as well as a High Street with an enviable range of specialist, independent retailers. Cilgerran is in North Pembrokeshire, West Wales. It is very close to Cardigan and about 5 miles from the sea at Poppit Sands. Come and visit our medieval castle, the Teifi Gorge, the Teifi Marshes nature reserve (with water buffalo in the summer months!) and explore the rolling countryside around the village. The fields, woodlands and gentle hills have an excellent network of paths, which are kept in good condition by the Walkers are Welcome group and Pembrokeshire County Council. 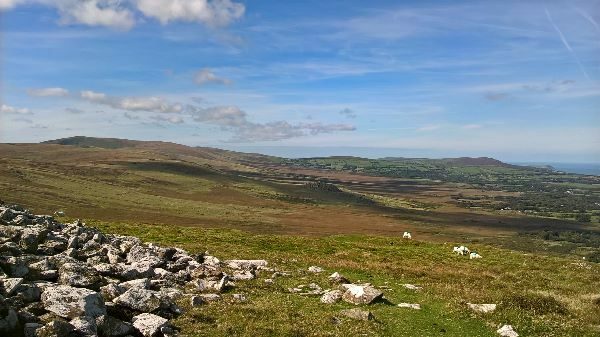 Walks take you to hidden valleys, across farmland or to historic churches, not to mention views of the coast and the magical Preseli hills. Many walks are accessible by bus. The village has a great little shop selling local produce. 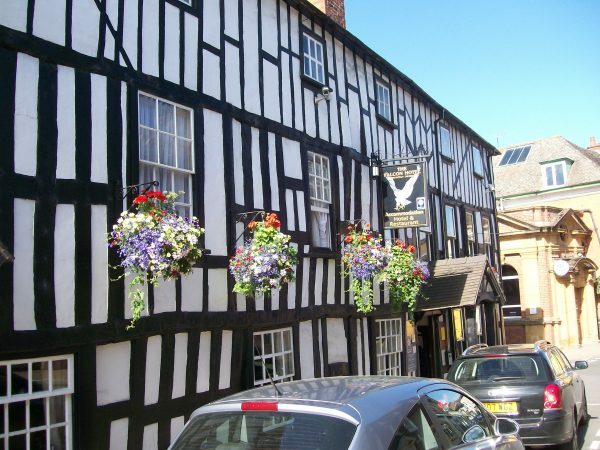 There are also three pubs, and a wide range of accommodation is available locally.